Parents play a pivotal role in ensuring a robust physical growth and cognitive development of their child. Right from the moment their baby is born, they remain both excited as well as concerned about his or her well-being. Every single thing, however little, about their child matters to them. 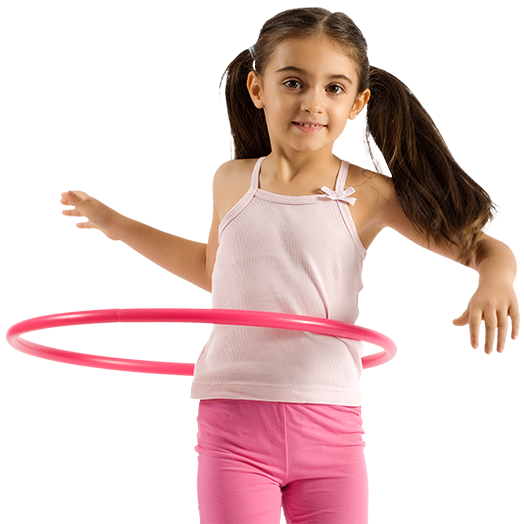 As parents, they would want their child to lead a healthy life, to have an appropriate physical growth as per his/her age and therefore they would carefully keep a track of his/her linear growth or increase in height as well as weight. Many parents also often compare their child's growth (his height and weight) with that of other children of his age and they get anxious if they find their child to be lagging behind. It's not uncommon to see parents visiting a pediatrician every now and then and getting their child examined to check whether their child is growing well or not. However generally speaking, parents need not get unduly worried about their child's growth if it's slow because every child grows and develops differently and so one's child will not always grow at the same rate as his/her peers. Children who aren’t as tall as others of their age, mayn't necessarily have a medical problem! Having said that, childhood is a critical stage of development for a child, especially during the age of 3 to 8 years, because there is usually a slightly increased growth rate during this period and it will determine his/her eventual physical growth. Thus children need to eat a wide variety of healthy foods during these years to fulfill their nutritional requirements. Most children are, however, picky eaters during their growing years and so parents sometimes have a hard time in feeding them. They still make every effort to ensure that their child consumes a well-balanced diet and that his/her nutritional needs are being met. However in spite of all their efforts, some children still end up with nutritional deficiencies and thus with delayed growth. A lot of factors can contribute to slow growth like genetic issue, continual illness, protein deficiency, deficiency of growth hormones but one of the primary reasons that impedes a child's physical growth and skeletal development is inadequate nutrition. A child lagging behind on growth would need more than average amount of nutrition to catch up on his/her lost growth. Realizing this, Horlicks, the leading nutritional drink in India has come up with a unique health drink named Horlicks Growth+, an advanced nutritional supplement to augment and replenish the essential nutrients needed by a child and thus address the worries of the parents regarding their child's slow growth. It is the result of an extensive scientific research by experts and contains high quality whey protein as well as essential amino acids and immunity boosting nutrients like Vitamin A, Vitamin C and Vitamin D. It has been clinically proved that this nutritional drink indeed improves both weight and height of children significantly in only six months. 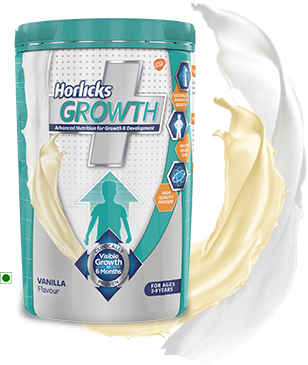 Available in creamy Chocolate or smooth Vanilla flavour, Horlicks Growth+ can be bought from any of the top pharmacy shops and leading e-commerce websites. Children will surely love the flavours. One can enjoy it both hot as well as cold. So if you are concerned that your child is significantly shorter or thinner for his/her age and is lagging behind his/her peers in growth, then you can use the "height and weight calculator" on Horlicks website - http://www.growthpluscalculator.horlicks.in/ and check your child’s growth on the growth chart. If it has indeed slowed down, you will have to determine its actual reason. If inadequate nutrition is what's impeding your child's growth, then start giving him/her Horlicks Growth+ and help him/her catch up on lost growth.